DONCASTER, United Kingdom — There’s a phrase that many southern, English, usually London-types proffer when discussing trips to places like Sheffield, Rotherham, Manchester – even sometimes Birmingham. “It’s grim up north,” they say, usually in a tongue-in-cheek manner, but with an element of truth behind their ironic prejudices. But there’s nothing grim about what’s going on in Doncaster today and tomorrow. UKIP’s largest ever conference kicked off last night, with a few welcome receptions for the press, the Chairman’s guests, and party patrons. Doncaster Racecourse is a fantastic venue, just moments away from Ed Miliband’s Doncaster North seat. And there was something very Phoenix Nights about how, following the chairman’s reception, the party put on a ‘race night’ which involved screening randomly selected DVDs of bygone horse races, asking punters to pony up £1 a pop for a bet on the winner. Yes, quite odd. But the really strange atmosphere last night wasn’t the one created by any Kippers themselves. It was in fact the media who seemed to be the slightly shy, kind of weird kids in the corner. As Kippers smoked and drank to excess on the terraces, Westminster media types huddled around glasses of orange juice and ready salted crisps. Okay, a few pints were bought, but more or less the travelling types from London had no idea what to do with themselves. They know they shouldn’t be seen to be having fun. Perish the thought. Save that for Tory conference next week, eh? And it is a shame really, because as a journalist at an event where 2000 members (rather than lobbyists) are coalescing, you’d think there would have been more for them to get their teeth stuck into. Unless they’re just waiting for the next Godfrey Bloom moment. On Thursday, UKIP hosted an event in Clacton which was larger than its party conference from two years ago. 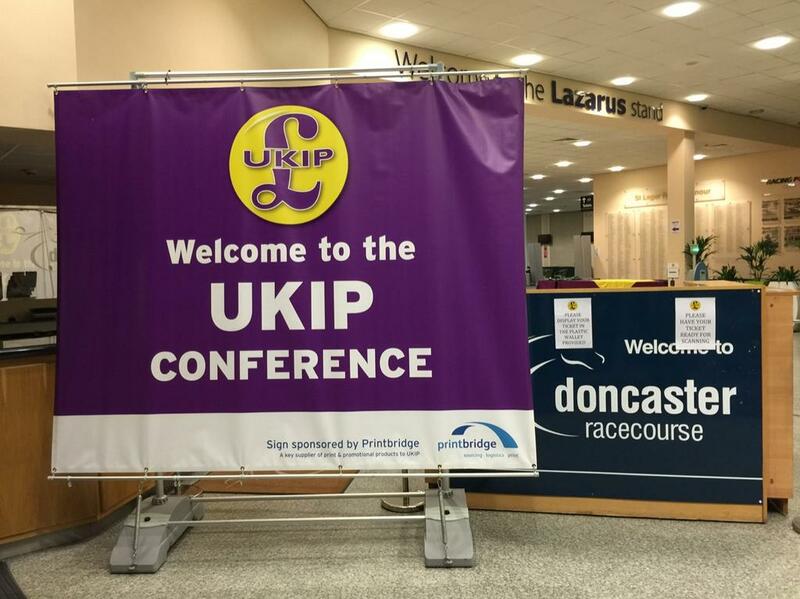 Today, thousands are gathering at Doncaster Racecourse to hear the party’s policy plans for the 2015 general election. A word to the media: snap out of your stupor. It’s not as bad as you think.